It’s been a turbulent week for oil prices. 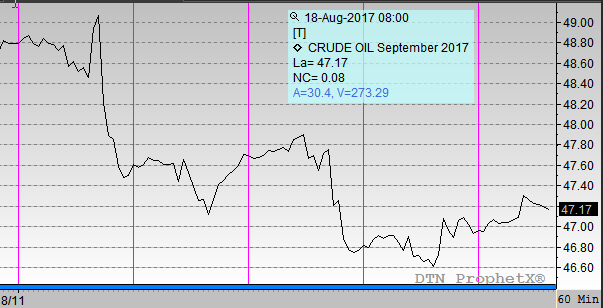 Crude prices have ranged from a high of $49.16 on Monday to a low of $46.46 on Thursday, a range of $2.70, or over 5% during the week. Compared to Monday’s open, prices have fallen $1.86 (3.8%) this week. On a weekly basis, prices have fallen between Monday’s opening price and Friday’s opening price for three weeks now. During late June through July, prices rose for five straight weeks, gaining $7.70; over the last three weeks, prices have given up $3.83, roughly half, of those gains. Refined products have also fallen this week, though with less force. Heating oil prices opened at $1.5802, down 5 cents (3.1%) from their opening price on Monday. 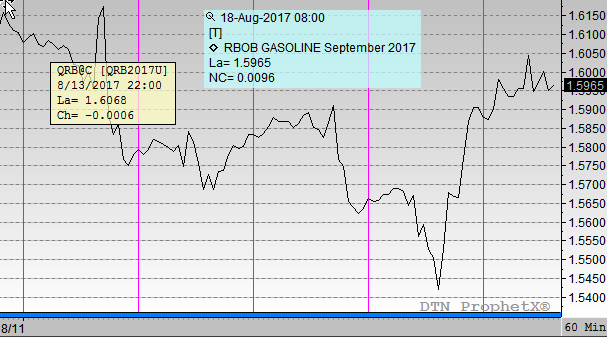 Gasoline has performed more strongly, losing just 2.2 cents (1.4%) this week, likely because gasoline prices fell so precipitously last week. The week got off to a slow start when reports indicated a slowing of Chinese oil demand. Refinery utilization and imports were down significantly, leading markets to fear a slowdown of global oil growth. The IEA expects demand to grow by 1.4 MMbbls in 2017, outpacing production growth, but a significant change in demand could alter these numbers. Without strong demand, inventories will remain high, putting a lid on prices. Markets were perplexed on Wednesday when crude inventories saw the largest draw of the year, falling 8 MMbbls. 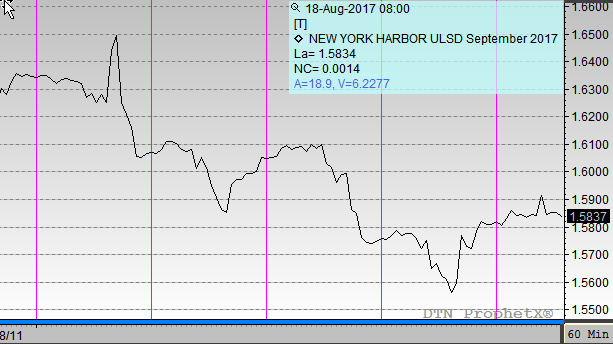 Yet following the EIA announcement, markets fell significantly. Although the headline news from the report was firmly bullish, the details were bearish. U.S. production continues rising, and is now within a stone’s throw of hitting record highs. As global production rises, markets are watching to see whether inventories will continuously be drawn down after the summer demand seasons closes in a few weeks.